My 3 friends and I stayed here for 2 nights. Our only regret was not staying longer! 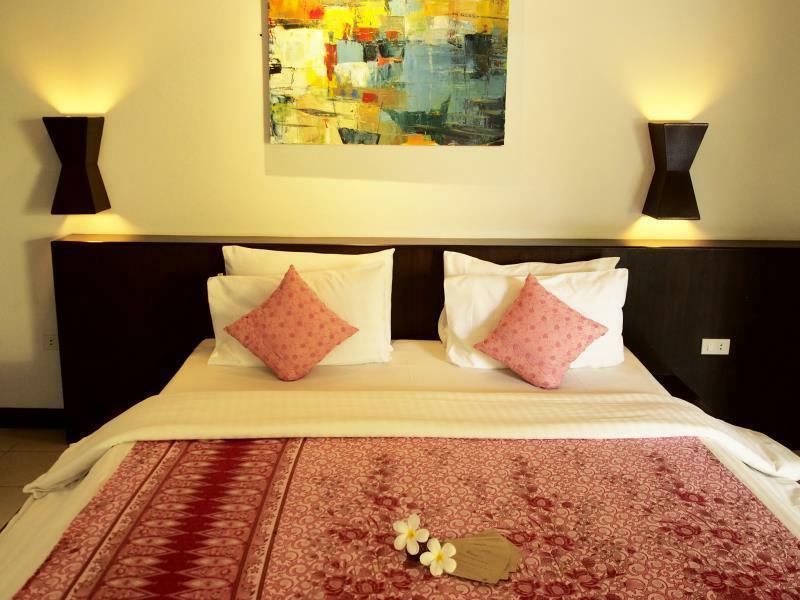 Such friendly staff, 5 minute walk to the beach, and beautiful rooms and pool area. The bathroom is gorgeous! Showering outside with blue skies over you is such a cool experience. We rented bikers from the hotel and cruised around the island. The staff is happy to answer any of your questions. Would stay here again in a heartbeat! The resort is very well taken care of. The rooms are clean and beautiful, especially the bathroom is a highlight with large showerhead and open air. We have enjoyed our stay and will hopefully be back. Good service. Comfortable room. Nice breakfast. Great service by staff named Da. She is a great staff with a lot of passion and dedication. She is helpful in answering all our queries and attentive to our needs. The rooms are situated in a setting that has nature surrounding. As city dwellers, we cannot get used to the surprise visits by lizards and insects near the door. The bathroom has an open concept. Unfortunately it was raining on the day we checked in and we had to put umbrella over the shower head to have a hot shower. It was our second time in Chaw Ka Cher and the resort has improved a lot since our last visit. The staff, managed by Da, is welcoming, helpful with always a massive smile on. Anything you want to know or organise, Da will make sure to help you out until you're satisfied! The bungalows are kept super clean: every day, housekeeping changes the bed sheet and cleans the room and bathroom (the best I have seen in my worldwide travels). Swimming pool is great for cooling down during the hottest time of the day. Breakfast was simple but good with a lot of option. The one little thing I would mention was the portion of their menu items: a little to small for the price we paid. Overall a excellent stay and be sure that we will come back!!!! We were here for 10 days and the check in was easy and the staff are really friendly and helpful. Breakfasts are good with everything you need. The room are a good size with everything you need like fridge and good Wi_Fi which would drop out now and then but if you ask they just reset it, so not a big deal. The outside bathroom is nice but just be aware other room are close by and can possible hear. The hotel even offer an option for heavier curtain if you like to sleep later. The pool is a lovely area with jacuzzi, but found the pool was often warmer so nicer to sit in that. The pool area is quite small. While we were staying we have a few families with small children. There are lots of small paths around over streams with the room terraces looking over. Very pretty but not ideal for small children. This hole hotel has a calm feel to it. Perfect for a relaxing brake. Really happy with our choice and would recommend. pros: unique design, good breakfast, clean, great staff, nice pool, cons: location is pretty close to a 2 beaches but you must rent a bike/taxi to get around, rooms could have a little bit more privacy. bottom line - we will come back - great choice. A very relaxing and peaceful place to stay. Breakfast was really good with lots of options. A bit far away from the main beaches but there are two lovely beaches within a 10 minute walk of the hotel so you don’t really miss them. We would definitely come back again! I loved this hotel. The rooms are great, bathroom had open air shower. 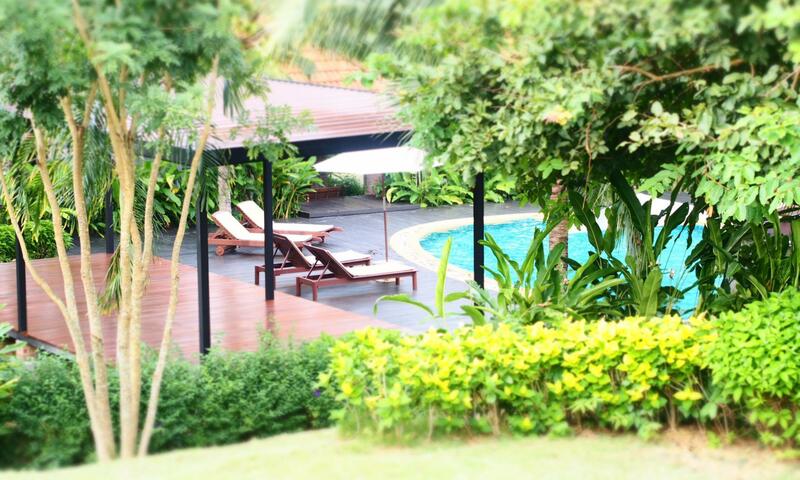 Lovely decking area in front of room and nice pool. Best of all are the staff, so friendly and welcoming and helpful. Only downside is the front of hotel is on the main road. You just walk 10 mins down Road to relax beach which is great beach with a few bars and restaurants. Easy to get tuk tuks or if you get scooter even better. We had a wonderful stay here at chaw ka cher. The staff are friendly and very helpful with recommendations and help. They got us sorted with safe and good quality scooters which were the best way to get around the island. Highly recommend this place! Chaw ka cher is by far the best place weve ever been to in thailand and probably the best staff weve ever had! Not only we got the best room and the bathroom and been brought breakfast to bed- chaw ka cher staff made us feel like family! We are definitely coming back and We cannot recommend the place enough! Its a quiet area, the food is amazing, rooms are clean and looked after but the amazing staff is what really makes the place! We were upgraded on arrival and had a lovely stay here. 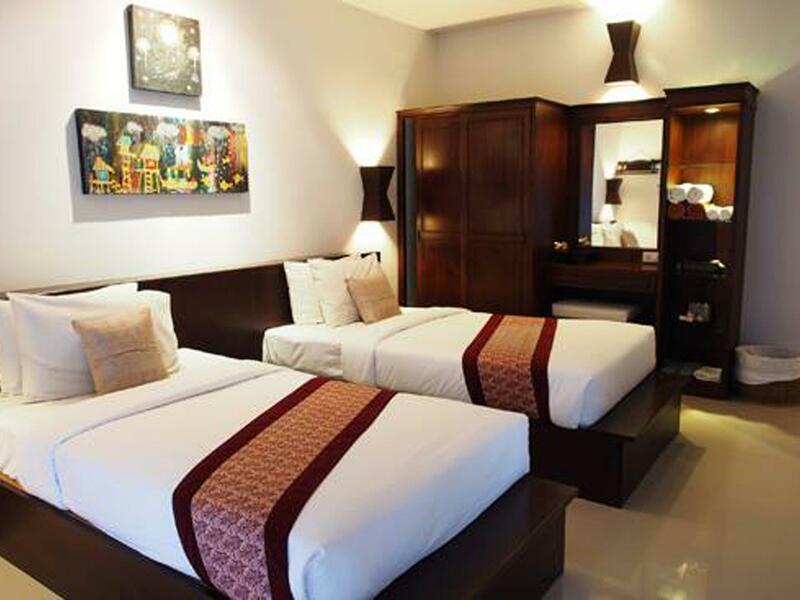 The rooms are spacious, clean and modern and pool is lovely. Staff are very friendly. We loved the location of this resort as it was close to relax bay which is a smaller beach south of the busier long beach. We loved this beach which had a handful of bars. Would definately stay here again! Pros Staff very friendly - they even gave me a birthday present and a gift when I left Hotel kept clean and tidy all the time Pool area very nice Good size rooms Good breakfast Restaurant good Cons Building work going on during the day (not in early morning or evening) Staff don't speak a lot of English (but hey, I don't speak any Thai !) A bit far to walk to anything Ask for a room away from the road as it can be noisy. I stayed here for two weeks and was made very. welcome. If you wsnt a quality base to then go out and look at the island this is ideal. This was our 3rd time in Chaw Ka Cher and myself and my wife came back mainly for the staff: attentive, always smiling and really helpful. The resort looks great from outside but needs a fresh coat of paint. It looks like it has not been refurbished since our first time in 2012: same linen wear, china wear and the bungalows are getting old. The employees are great though and the place is very clean (which is another reason why we always come back). Unfortunately, we got into some sort of argument with the Manager. I won't go into details as it would take forever but the bottom line is that we don't think we were treated in a kind and professional manner. We were accused of dirtying pillow cases by this Mrs Nok Kannika and told we would be charge for it (unless we could wash it ourselves). Later, she realised she was at fault and turned the blame to her own employees. She said that she would 'punish' her staff (her own words) for poor housekeeping. We could not let this go without a fight as we hate Bosses bullying their staff. It was not about pointing the finger and find someone to blame but try to find a solution and make us (the customers) happy. On our last day, the Manager did let us stay after check out time and I appreciated that she came and let us know herself. We do return to Koh Lanta twice a year but this was our last time with Chaw Ka Cher. We want to thank Da at the Reception, Rick, the waiter, the whole housekeeping team and every single one of the staff that gave us the best service and remembered our preferences throughout the years we have been coming. LOVED IT! The staff was amazing and their hospitality was so appreciated (especially Da!) The grounds and pool are just beautiful. Loved our room and felt quite at home. Next time I would ask for a room away from the road as it got a little noisy, but not enough to cause any problems or discomfort. The walls in the rooms are a bit thin so our neighbors with multiple little kids were a bit much early in the morning, but again, not enough to not stay again. Da took care of us like we were family. We rented scooters and had a blast, had all of our clothes laundered, she helped arrange our longtail boat tour, and our transport to the ferry. It was a very restful and wonderful trip! The place is clean, nicely decorated, and the staff is very helpful. Chaw Ka Cher is a lovely place and the staff is very helpful and friendly. It's very convenient you can rent a motorbike directly from the resort. The swimming pool was very nice and the bungalow clean and comfortable. We didn't appreciate too much that you need to pay extra money for having internet access from the bedroom (the wifi is only free when at the lounge). Overall though we had a very pleasant stay and very much recommend this place, thanks! This hotel is wonderful. The staff were very cheery and helpful. The owner Nok could not of been more helpful when we arrived a day early, due to changed travel plans. She upgraded us for our entire stay. 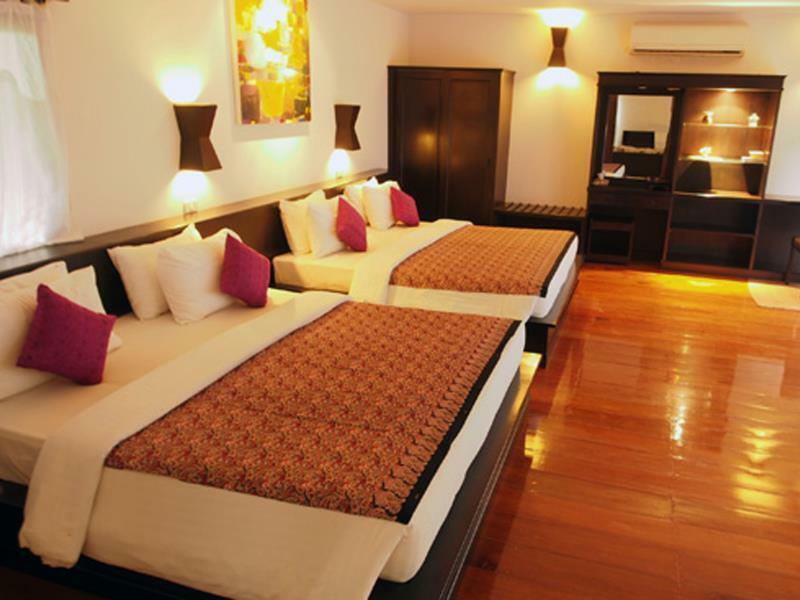 This is a boutique resort, but has the standards of a good 4 Star hotel. 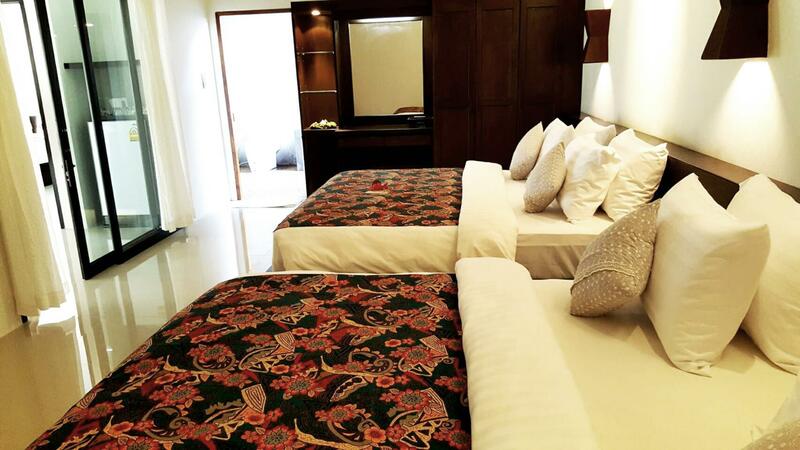 The rooms are big with an outdoor Bali style bathroom, not everybodies taste, but we thought it was great. The beach is an easy walk from the hotel(10 mins max) and a lovely secluded beach it is, with good relaxed bars and restaurants. This is definately a couples hotel, not very child friendly, but still one of the best I've stayed in Thailand, and I have lived here 10 years. I would like to thank Nok and her staff for a wonderful stay. This is an amazing hotel! Guests have individual houses with open air bathrooms - showering under the stars is a fantastic experience. The room was immaculately clean, luxury toiletries are provided and plenty of towels. There's also a safe in the room which is free to use. Wifi is free in the public areas but as we'd stayed one night a few days earlier and returned because we loved it so much, we were given complimentary free wifi in the room for our entire stay, although unfortunately the down side was that the wifi was somewhat slow and unreliable. The staff are all amazingly helpful and friendly. We arrived hot and dusty from a 30 min trip from the south of the island and were presented with iced drinks on arrival. We'd just left a higher star rated hotel but were pleasantly surprised that this so called 3 star hotel far exceeded our expectations and prior experiences of 4 star hotels on the island. The hotel was quiet, and not crowded at all, with a lovely pool and restaurant area. Breakfast was really nice, but the dinner menu was somewhat limited although there are restaurants just a few minutes down the road. 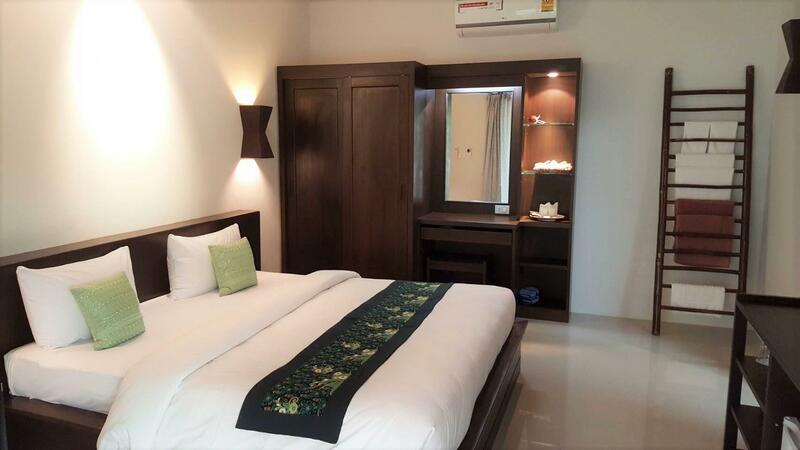 The location is slightly out of it - it's about 15 mins by tuktuk from the main shopping area in Saladan, and 1 mile from Klong Khong beach area where there are some restaurants. The beach is a 5 to 10 min walk and I have to say I found a 'paradise' beach just an extra 5 mins walk from there - not one person on the sandy palm tree beach! All in all, it was a great experience and I was sad to leave. My wife and I did a 5night stay at chaw ka cher TLR. The location of the hotel was pretty centralized but it is not by the beach. We did not mind this as the hotel was an oasis on its on. The staff were incredible friendly and helpful :) we will definitely to back!